Hospitality company adopts ProfitSage at 30 properties due to solution’s industry leading reputation and ability to integrate with third party systems. Greenville, S.C.–November 13, 2018 –ProfitSword, hospitality’s premier developer of business intelligence and data integration software, has announced the implementation of its ProfitSage operational and financial reporting solution by Auro Hotels, a hotel developer, owner and manager overseeing 30 upscale properties across the United States. Originally utilizing its own in-house business intelligence platform, Auro Hotels selected ProfitSage in order to implement a more robust and systematic forecasting strategy that could adapt to the company’s ongoing growth and increasing complexity, while also maximizing operational efficiency and increasing the potential for additional revenue. After extensive research in comparing competing solutions and examining the experiences of other hospitality companies, Auro Hotels identified ProfitSword as the industry’s go-to provider for implementing a uniform and effective business intelligence process that could also seamlessly integrate with pre-existing systems used across its portfolio. When using ProfitSage, hoteliers at each property will be able to instantly forecast metrics, such as monthly bottom lines, daily labor expenses and accounts payable. With such information automatically uploaded into the ProfitSword user interface in real time and also made available via pre-scheduled reports, Auro Hotels can further ensure that both local hotel and corporate leadership have the necessary data to make informed, yet timely decisions. As a comprehensive provider of business intelligence solutions, ProfitSword’s line of data management platforms also includes ProfitPace, ProfitPlan and ProfitWizard. A solution developed to effectively manage sales data, ProfitPace allows businesses to efficiently monitor sales team efforts to ensure that the company is on track to achieve individual and company sales goals. It also allows for the comparison of sales pace to forecast, budget, prior years and same time last year trends. Using ProfitPlan, hoteliers can incorporate stylized report templates to produce several types of reports required to manage daily tasks and information. ProfitSword’s data analysis tool, ProfitWizard, combines business intelligence, decision support, performance management and ad-hoc reporting for efficient analysis of data. 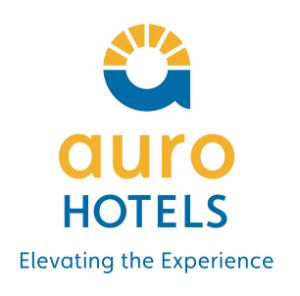 Auro Hotels, a successor to JHM Hotels, based in Greenville, SC has developed, owned and operated hotels for 44 years. The company currently owns and operates 36 hotels in the United States and India, operating under many well-known brands such as Marriott, Hyatt, and Hilton. For more information visit our web site at www.aurohotels.com.